I came about this place not long ago through the friendly social media platform. People was posting about this place and I knew I need to visit this place. 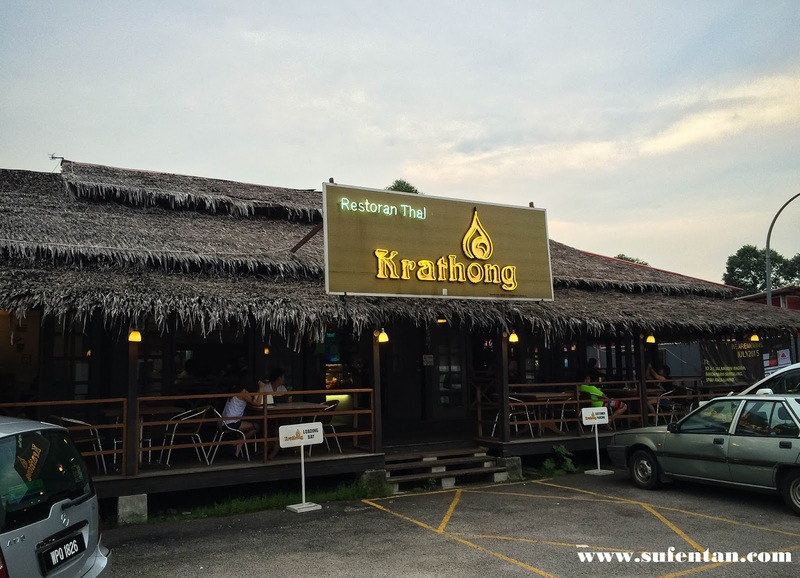 Krathong Thai restaurant is located at Sri Petaling, follow waze, it will bring you directly to the place. 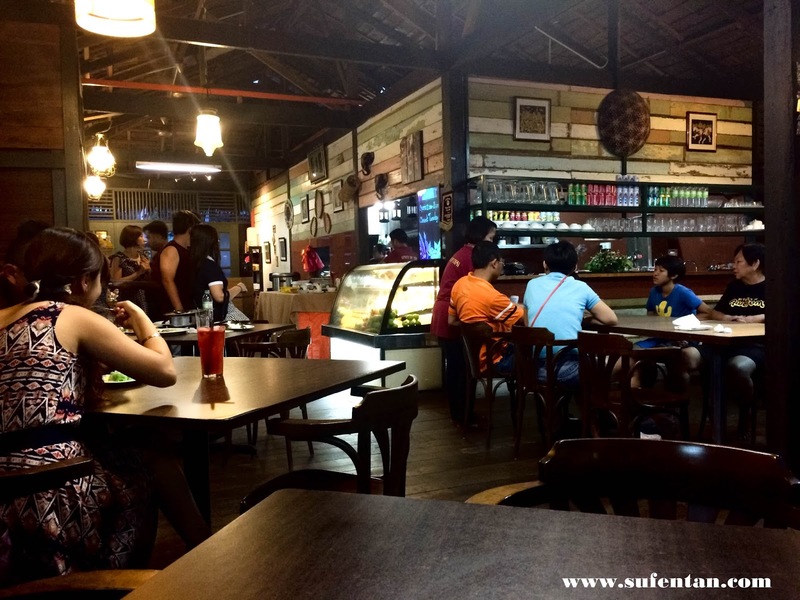 So, today I'm going to introduce you this nice place for Thai Food with reasonable price too! Just one advice, please go early or else you will have to queue at the roadside. The place is able to fill more than 30 people however their serving time is quite long and lack of staffs (we waited more than 30 mins), the turnaround for a table at least 1 hour. Luckily we saw this banner hung beside the shop, they going to move from current location to new shop near The Store in July. Just a few roads away from their current location. So remember in July, find them at new location. I love the old wooden style design, reminds me of younger days where I used to buy snacks from those wooden kampung house aunties. There are two sizes for most of the dish in the menu. We ordered the small portion which is just nice for both of us. The prices are quite reasonable for a Thai restaurant. 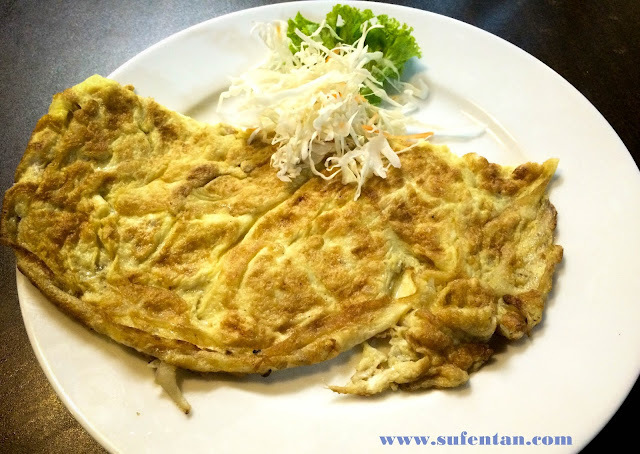 The portion of the omelette is quite big too for that kind of price. Taste wise is good. 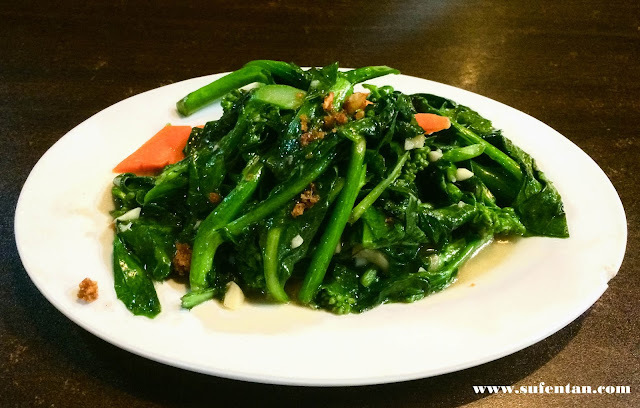 Both of us love their Stir Fried Kailan with salted fish, the way they cook is more like the Chinese style. A plate of Kailan cost least than RM 10, hardly can find it in restaurant now. 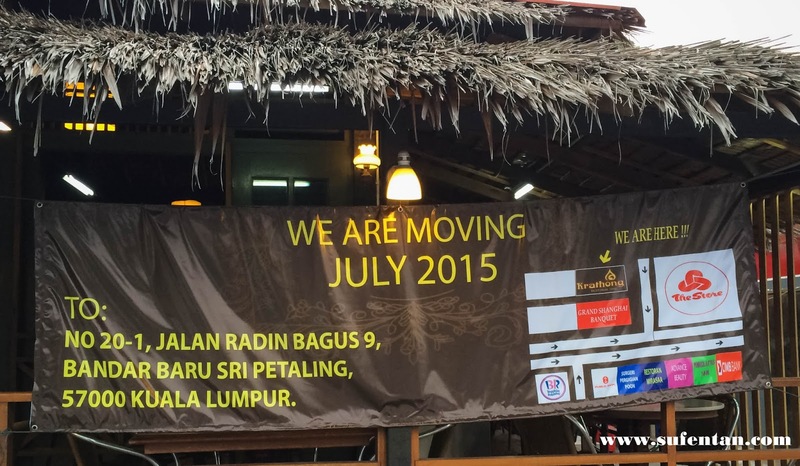 I hope they maintain their price after moving to new location. Price for fish is based on seasonal but advice to ask the price before order (avoid to get cut throat). We actually ask the price of the fish and type of the fish served on that day. Their speciality of steamed fish is actually the Thai spicy lime steamed fish which both of us love the most. The spicy lime sauce taste really good, sweet & sour and not too spicy. 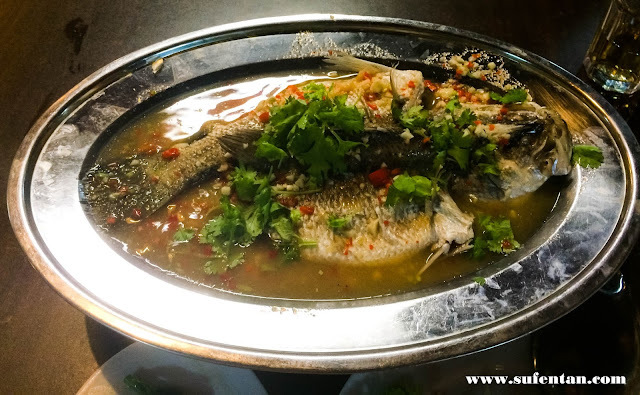 On the other hand, the size of the fish is just nice for two of us, if you are coming with bigger family, probably you will need to ask for bigger fish or order extra. Must Try! Now dessert time! We were shocked with the price of their dessert. 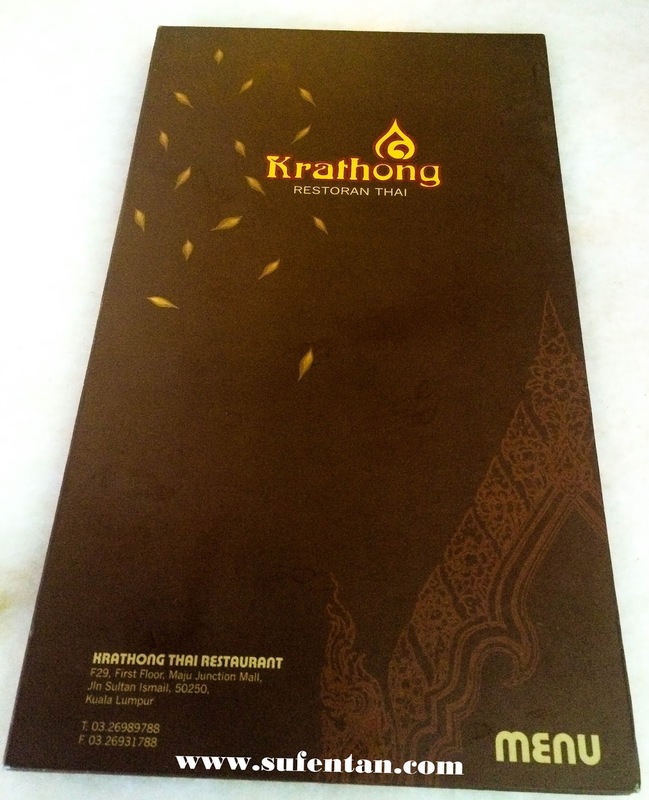 It is lower than any Thai restaurant would want to position it. 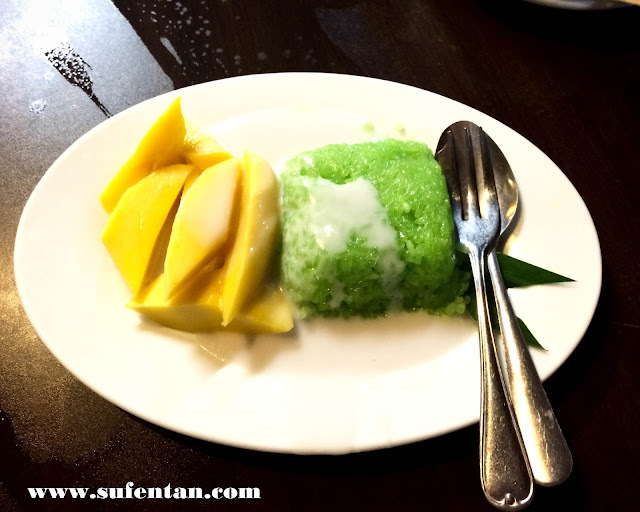 What I like about this Mango pulut is the portion, it is quite small but just nice after a heavy meal. Normally we hardly can order any dessert because those portion is big. 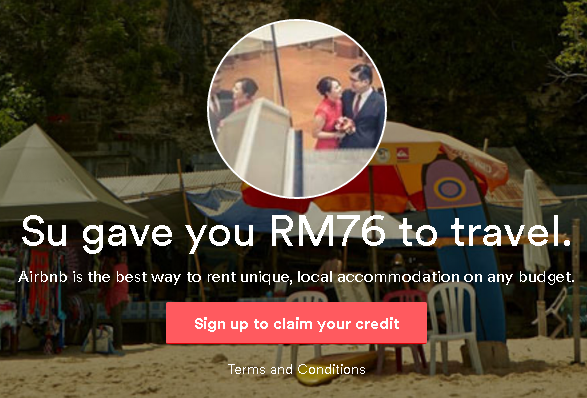 So, with the price of RM 3.50 on that size, I think it is quite reasonable. Nothing so big wow about the RM 3.50 Mango Pulut that is crazily talk on FB. However, the white sauce that served on top the pulut is too salty which I personally don't really like it, it suppose to be a bit sweet and salty. This is the dessert that should be talk of the town. 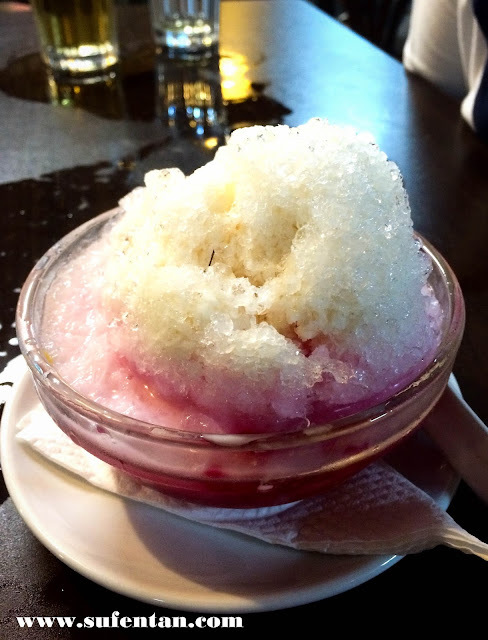 Have you ever find any Thap Thim Krob that is the size of an ice kacang only cost you RM3 (Ice kacang at kopitiam already selling RM 5 now)? The tall ice shaved dessert excited him the most. I think this is definitely worth of money because the ingredients inside are a lot too! Taste wise is delicious! Must Try!